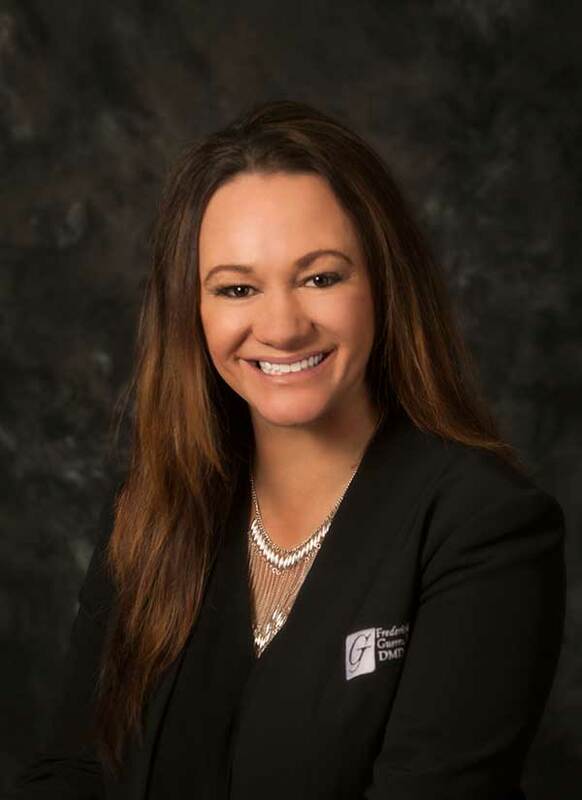 Heather is a member of the American Association of Dental Office Managers and has been in dentistry since 1997 where she started off as a dental assistant in Gunnison, CO. and has been Dr. Guerra’s lead assistant since 2008. Heather has always gotten great satisfaction from helping her patients through their dental anxieties and into a beautiful and healthy smile. She always strives to give patients the best dental experience possible. 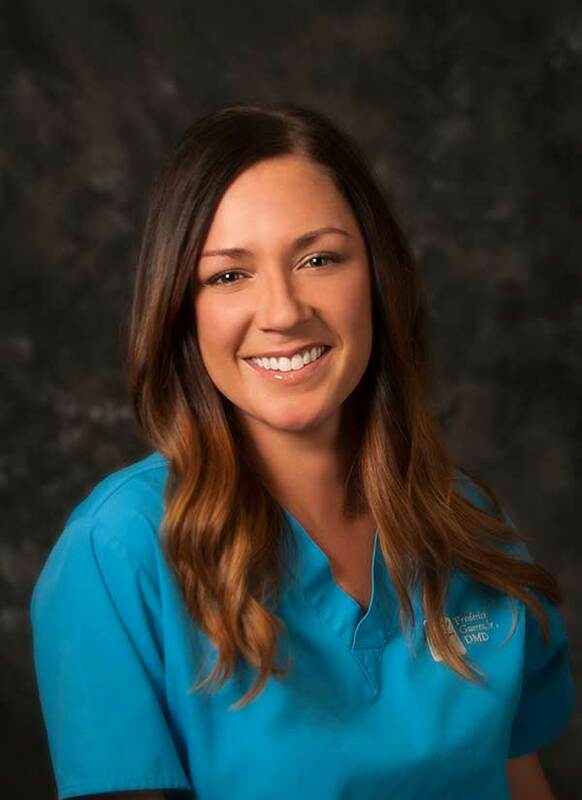 With her passion for dentistry, she brings to our team her expertise and knowledge of insurance and financial plans to maximize your dental health. Heather is often one of the first people our new patients have contact with. Thankfully, she’s helpful, knowledgeable, and has a great sense of humor, so she makes a great first impression! She appreciates her amazing staff and their teamwork, talent and genuine concern for the patients. When Heather isn’t busy enjoying work she loves to have new adventures with her daughter Taylor and their Newfoundland Peanut and her St. Bernard mix Nixon, but her favorite pass time is Texas Hold Em. Jenny has been in the dental field since 2000. She started as a dental assistant and worked her way into front office administration. “The best part of my day is helping patients have a positive experience here at the practice, starting with the first time they call our office, to when they arrive for their first visit. A beautiful smile makes such a difference in how a person feels, and the confidence they have. It is rewarding to be a part of that transformation.” She enjoys spending time with her 3 children and husband, hiking in the mountains or at one of her children’s many sporting events or plays. Carol has been a Registered Dental Hygienist since 2005. Carol is an expert in helping patients achieve and maintain great dental health. With her gentle touch, she utilizes advanced technology and the latest techniques to provide patients with a smile that shines. “My purpose is to help patients achieve a state of optimal dental and oral health that is personally appropriate to them. I will use all my skills, knowledge and the best technology has to offer to achieve this purpose. I intend to accomplish this in a gentle and caring manner, thus enhancing the quality of my patients’ lives. My goal is to give you a world class dental experience! !” On a personal note, Carol has been married for 30 years and has 3 grown children and 6 grandkids. She loves to hike and wants to try paddle boarding, but her favorite thing is spending time with her grand kids. Lindsay is an EFDA who has been in the dental field since 2006. She seeks to ensure patients are comfortable throughout their appointment and helping them to smile with confidence again is the most rewarding part of her day. When Lindsay isn’t at work, she enjoys hiking and camping with her husband, photography and being in the company of animals. Mary graduated from the hygiene program at PCC with an associates in applied science degree in 2003. Over the past 13 years Mary has worked in a variety of cities throughout the Colorado area, reaching as far south as Pueblo, and out west in the Vail Valley, as well as Castle Rock, Colorado Springs and Denver. 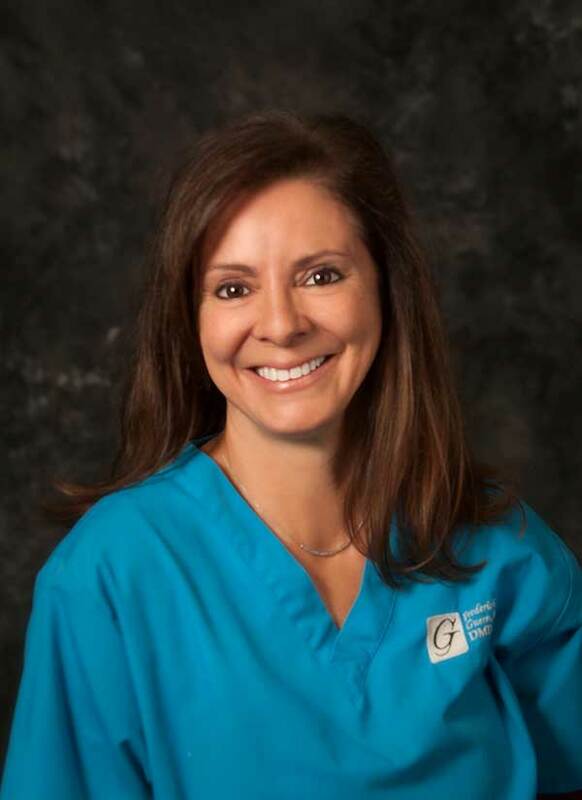 Mary’s focus is to stay educated on the most up-to-date advancements in the dental field so she can continue to provide the best quality care for her patients. She enjoys working with Dr. Guerra’s office because this practice uses the newest technology and equipment that is available. Mary believes that there in magic in a smile and she enjoys providing a clean, bright smile for each of her patients. When she is not at work she enjoys traveling, spending time with family and friends along with spending as much time as she can outdoors. r.